August 29, 2012 - For unemployed U.S. military veterans seeking a career in aviation, a new Veterans Retraining Assistance Program (VRAP) now available through the U.S. Department of Veterans Affairs may allow veterans to participate in Jeppesen’s industry training FAA Dispatcher Certification training program for high demand aviation occupations. 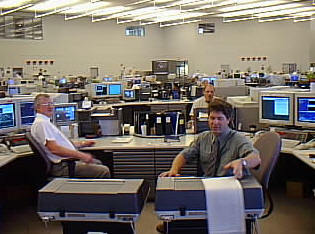 Under the FAA Dispatcher Certification program potentially eligible for VRAP benefits, Jeppesen, a unit of Boeing Flight Services, provides licensing of dispatchers along with the same body of knowledge that is required for the Airline Transport Pilot License (ATPL), applicable to many aviation careers. The dispatcher plays a critical role in maintaining aviation safety and efficiency, working in Airline Operations Control (AOC) centers worldwide. The Veterans Retraining Assistance Program provides U.S. military veterans training toward a degree or certificate that leads to a new occupation. Beginning July 1, 2012, veterans aged 35 to 60 who have exhausted their VA benefits and who are unemployed may apply for VRAP training benefits under Chapter 30 guidelines. Jeppesen, the Englewood, Colo.-headquartered global industry leader in navigation, operations, training and optimization solutions, offers training for numerous careers in the aviation industry. FAA licensed dispatchers share operational control of each airline flight with the pilot in command and are responsible for preparing the flight “release.” This process considers the required amount of fuel for each flight, the aircraft performance capabilities, distances, maintenance limitations, weather conditions, airport and runway conditions, navigational capabilities, regulatory conditions and many other factors in assisting with pre-flight preparation. After takeoff, the dispatcher is then responsible for monitoring each flight’s progress to ensure the flight is operated in compliance with government and airline company regulations. The licensed aircraft dispatcher needs to pass written, oral and practical examinations from the FAA, which the Jeppesen training course prepares students to complete. After certification, dispatchers receive additional training from airline employers, normally 40 to 160 hours of instruction, plus on-the-job training. Veterans can research their eligibility for receiving training benefits by clicking benefits link or gibill link.